CChintsa is a village in the Wild Coast region of the Eastern Cape province, South Africa. It is situated 38 km north-east from East London, at the mouth of the Cintsa river. With a clear 15km stretch of beach, natural forest, exciting outdoor adventures, cultural encounters and a range of accommodation options and restaurants, Chintsa in the Eastern Cape is recognised as one of South Africa’s prime coastal destinations. It’s the perfect chill-out hideaway for travellers of all ages. Chintsa is a Xhosa word meaning “river of crumbling banks”, and it is pronounced in a very specific way. Many visitors say “Sinsta”, but the locals introduce a click sound at the beginning of the word. Once you arrive at this special place, the southern foot of the Wild Coast on South Africa's eastern coastline, you will discover that learning the different clicks in the Xhosa language is part of the fun of discovering this region. 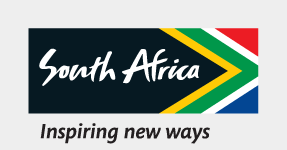 CChintsa has become one of the top ‘voluntourism’ centres in South Africa. CChintsa, lies on both flanks of the mouth of the Chintsa River in the Eastern Cape, about 40km north of East London off the N2 highway. For many generations it has been a favoured holiday and fishing spot for both locals and visitors from further afield. TThere are few more attractive sights than watching a group of riders galloping across the stretch of wide, clean beach that makes Chintsa so special. Then there’s also the very pleasant sensation of chilling out in a hammock on a resort lawn overlooking the Chintsa Lagoon, sipping a cold drink, reading a book and occasionally lifting one’s eyes to the Indian Ocean for a sighting of a passing whale or a frolicking pod of bottlenose dolphins. Ask a Chintsa local why they keep coming back here and they’ll tell you about their favourite hotel, resort or backpacker establishment, and how their parents used to take them there as children. Now they take their own families to the same spots. TThey’ll also tell you that Chintsa has the “best weather in the world.” The semi-tropical climate around Chintsa makes for mild year-round temperatures. The Chintsa area has high dunes, indigenous forests full of birds and plants and, of course, that great beach. Culturally, there is Mama Tofu down the road. A legendary raconteur and expert in Xhosa rituals and women’s rights, Mama Tofu is a favourite among the visitors who come to Chintsa. An afternoon spent at her village is not forgotten.